"Some Legends are born out of Struggle." Cal Chetley (Devon Graye) has all the book smarts that a kid his age should have, but when it comes to taking care of himself, he is nothing like his big brother, nor his father. Both men in the Chetley household were involved in the wrestling business, not to mention the fact that his big brother Mike Chetley (John Cena) is several times larger than Cal is. After being pushed around by some of the kids in his school, Cal decides that he wants to join the wrestling team. Considering his smaller stature, Cal is barely able to make it into the 135lb class. Cal's mother Sharon (Patricia Clarkson) is less than enthusiastic about his decision to join the team, and even makes a trip to the school where she attempts to get the wrestling coach to take him off the team, but he refuses, and offers instead to keep a closer eye on him. Cal takes a bus ride to meet his older brother in the hopes that Mike will help him achieve his goal in becoming a wrestler, or at the very least, hold his own in the ring. Mike refuses the request, with a suggestion that Cal should follow the coach closely and he would be fine. After a run in with the law, Mike must face a judge with the prospect of spending time behind bars, but when Cal reads about it he sneaks out and approaches the judge on Mike's behalf. Although Mike is still wary about being part of his brother's life, he finally offers to do what he can to help Cal learn the art of wrestling. During their training sessions, Cal and Mike become closer, and the family bonding begins. Directed by Mel Damski, this drama has supporting roles by Madeleine Martin as Luli Stringfellow, Danny Glover as Harry 'Red' Newman and John Posey as the coach. 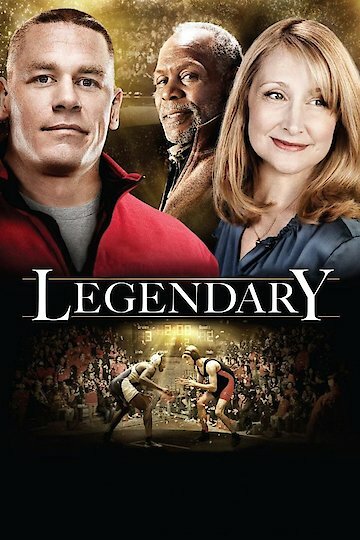 Legendary is currently available to watch and stream, buy on demand at Amazon, Vudu, Google Play, iTunes, YouTube VOD online.